These beautiful layered board books feature cut-outs and glitter. The sweet stories help to teach your child about the different seasons and the colours of the rainbow. A layered 7-spread board book. Each layered edge features one of the seven colours of the rainbow and is ‘highlighted’ with glitter. Seven animals, each representing one of the seven colours, participate in a race to determine the order of the colours of the rainbow. 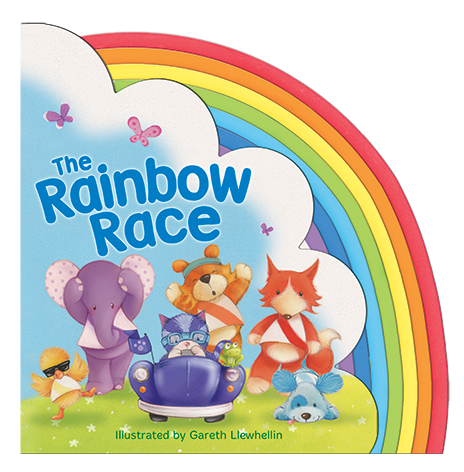 A happy story, with every animal satisfied with their finishing place in the race!Provides an innovative and fun way for children to learn the order of, and the colours of, the rainbow! A layered 7-spread board book. Each layered edge featuring either leaves, snowflakes, flowers or sunrays, representing each of the four seasons. 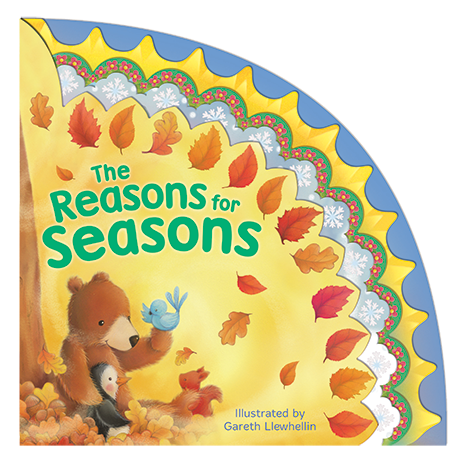 Provides an innovative and fun way for children to learn the order of, and about the seasons. Four animals ‘debate’ which season is best, based on what they see are the positives of each.